Went to Mass at Franciscan church [in Sanremo] where all the priests had beards. This was church, which in addition to church in Norway, gave me a feeling of being close to God. After breakfast, drove to border where we had no difficulty at all in crossing. 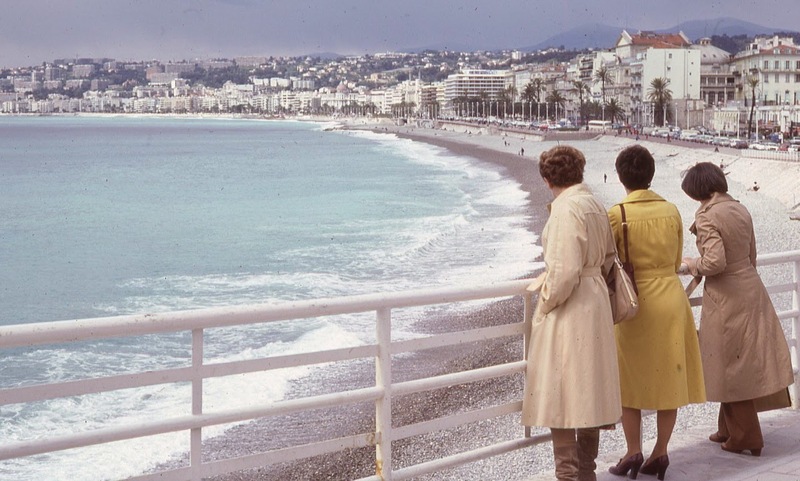 Ate lunch in Nice and drove down Promenade des Anglais (very fine beach). 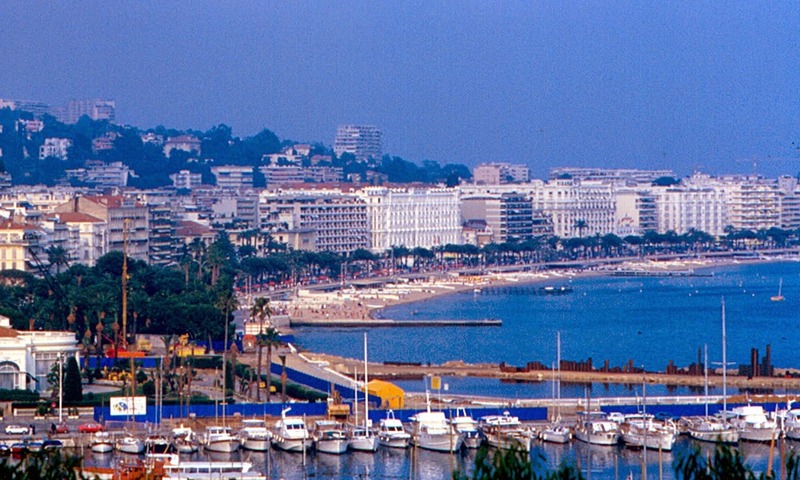 Then drove to Grasse (perfume essences) and back to coast at Cannes. From Cannes we headed inland and stopped for night at Aix-en-Provence, France. Although weather was bad, thought Italian and French Rivieras very beautiful. According to the "HOTELS STOPPED AT" section of the trip diary, my mother and her friends stayed at the Hotel Splendid in Aix-en-Provence, France. Grasse is considered the world's capital of perfume. There are three perfumeries in the town, all of which have been there since 1926 or earlier. 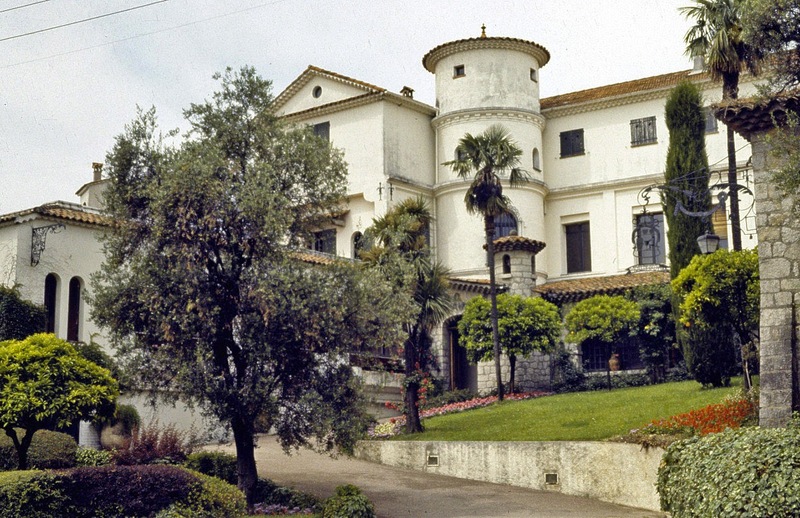 The Parfumerie Molinar, founded in 1849, is in a very pretty building, pictured below in 1989. This is the 58th in a series of posts transcribing entries in my mother's 1953 Europe Trip journal.